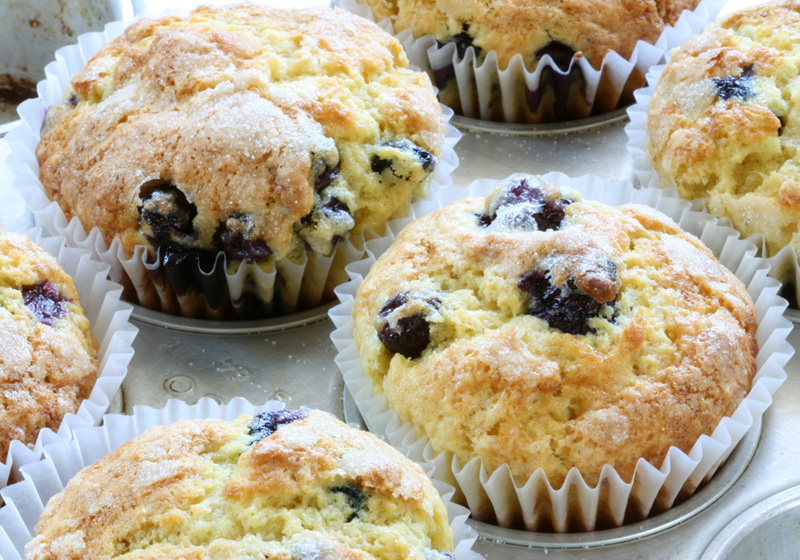 The blueberry muffin was adopted as the official muffin of the state of Minnesota in 1988. Preheat oven to 425F. Mix buttermilk, egg, and vanilla; set aside. Mix dry ingredients, orange zest, blueberries, and white chocolate chips. Make well in center, pour in liquid mixture, and stir lightly just until mixed. Spoon into lined or greased muffin tins. Top with sugar in the raw, and bake for 20 to 22 minutes. Make’s a “Baker’s” dozen.